Relational algebra defines the relational database through a set of data operators (select, filter, join, sort, union, etc.) that defines an intermediate format for query planning/optimization. Merge with Sql Engine - Relational Operator (Data operations|Execution Plan Steps) ? Relational algebra is an extension to mathematical set theory, it was devised by E.F. Code (IBM) in 1970. Programs that manipulate tabular data exhibit an algebraic structure allowing reasoning and manipulation independently of physical data representation. All operations on a table return a table. The operation can then be chained together. Relational algebra expressions dictate how to achieve an answer by giving what operations to do and in what order to do them. A declarative language only expresses conditions that must be met in order for a result to be an answer, not how to get that answer. Every query returns a table. The language is “algebraically closed” A view is stored as an algebraic closure so it can be optimized when used with queries. By design, query results in relational algebra are unordered. Repeating the same query multiple times is not guaranteed to return results in the same order. 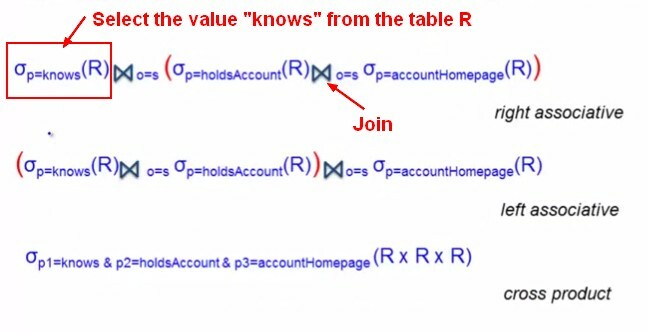 Similarly, database-backed relational data also do not guarantee row order. 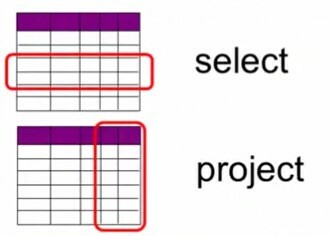 A project operator keeps only a set of columns (in other words eliminates the others). The size of this cross-join is then the size of R1 multiplied by the size of R2. Equi-join is a join where the condition is an equality. A theta-join is a difficult join where generally the condition is not a equality. Band join or range join. It's not because you don't have any join key in the sql that you don't have a join physically.